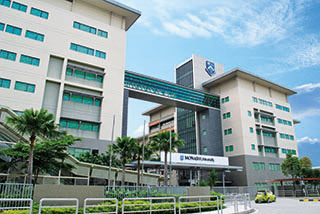 Established in 1998, Monash University Malaysia is one of Malaysia’s most respected universities. The global foot print for Monash University in the Asian region, the university carries the distinction of being the Malaysian constituent of a premier research intensive Australian university ranked among the top 100 universities in the world, and a member of Australia’s prestigious Group of Eight (Go8). 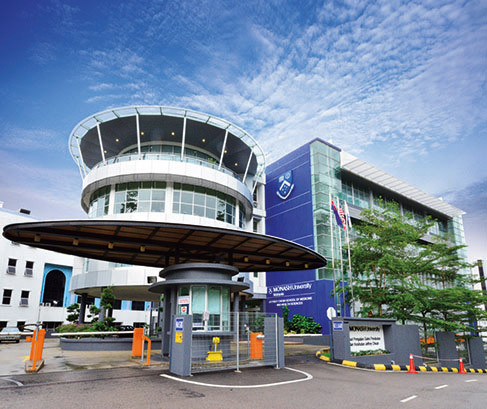 From humble beginnings, Monash Malaysia has grown in stature, and is now recognised as a leader in the international higher education sector in Malaysia. As an independent, self-accrediting institution of higher education, the university attracts students not just from Malaysia, but from all over the world. Approximately 6,000 students representing almost 70 nationalities are currently enrolled at Monash Malaysia, and enjoy a quality academic experience. 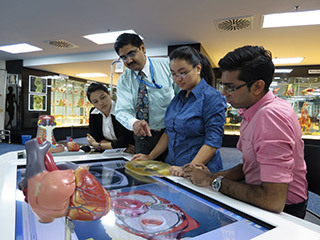 The university offers a range of specialist undergraduate and postgraduate courses in the areas of Arts & Social Sciences, Business, Engineering and Information Technology, Medicine & Health Sciences, Pharmacy, and Science, which are directly linked to the human resource needs of Malaysia and the region. All courses are accredited in Malaysia and Australia, ensuring an education that is locally relevant and internationally recognised. With a Monash degree, our graduates, who are globally-engaged and industry-driven are able to pursue rewarding careers in both the public and private sectors across the region. The faculty is a mix of locally and internationally recruited academics with extensive teaching, business and industry experience. They bring years of knowledge gained from research in their respective fields into the class room, providing students with a stimulating academic environment. Classes are small in number, allowing the lecturers to cater to the students’ individual needs. 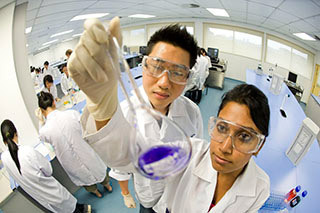 Monash Malaysia has built a reputation for quality, credibility and integrity, and is held in high esteem by students, alumni, industry and government. Committed to maximising the potential of everyone in the global community, the university seeks to develop well-rounded individuals who embrace challenge and change. Monash University Malaysia aligns its research priorities according to the national and international agenda, crucial for the development of intervention strategies that will improve the lives of people. Researchers are working on global issues and finding solutions on a broad range of challenges that impact Malaysia, from discovering new drugs derived from Malaysia’s rich natural biodiversity for neurological diseases to identifying innovative ways to overcome poverty in the rural and urban areas. Many of these challenges require a multi-disciplinary approach, and the campus has established multi-disciplinary research platforms that enable scientists in the region to work on global challenges. Monash University offers a number of financial incentives to deserving students, for both undergraduate as well as postgraduate studies. Monash Malaysia is also Rated Tier 5 Excellent under SETARA 2013 assessment. Professor Helen Bartlett was appointed President and Pro Vice-Chancellor of Monash Malaysia in January 2013. She holds a PhD and MSc Public Policy from the University of Bath and BA from Northumbria University. Bartlett's research and education career spans some 30 years. She has held senior leadership roles at all organisational levels in universities in the UK, Hong Kong, and Australia. Prior to her current role, she was PVC and President of Monash University's campus in Gippsland. She has also held postitions as Foundation Director of the Australasian Centre on Ageing at the University of Queensland and inaugural Professor of Health Studies, Director of the Oxford Dementia Centre at Oxford Brookes University in the UK. Bartlett has an international research record in ageing policy, healthy ageing, and aged community care. Her work has included studies in East and Southeast Asia and has been published extensively. She has also been awarded numerous national and international competitive research grants and government consultancies. Bartlett has provided leadership in some of the higher education sector's most important challenges, including talent management, research capacity building, transnational education and partnership development. She has led many university initiatives in student access and participation, and university-community engagement. Through her appointments on various boards and government committees, she has played a major role in promoting the role of higher education in regional and economic development. Bartlett currently serves as an Advisory Board member of the Jeffrey Cheah Institute of South East Asia and the ARC Centre of Excellence in Population Ageing at the University of New South Wales. 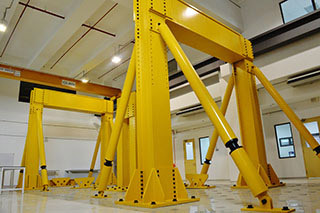 Monash Malaysia has been established for over 16 years and under Bartlett's leadership is further building its profile as a research-intensive university, delivering impact withing the country and the region. The environment at Monash University Malaysia is as such that it trains its students to be very independent. Each individual student is allowed to explore how best one learns. In other words, the success of a student at Monash is in his/her own hands. This in a way helps students to find their own space and self. At the same time, students also learn to work in teams with each other, exposing themselves to different schools of thoughts and people from different backgrounds. The University, by being open to the ideas and proposals from students, encourages students to make more opportunities to do things and dare things they have never done before, making them more independent and creative. The facilities at Monash University Malaysia is by far the best that I have seen, fully equipped with multimedia facilities in their lecture theatres, computer labs and the library. The learning environment here is also very conducive and systematic. In addition, the lecturers here are open and easy to talk to, traits that are very helpful to students. The facilities here are very up-to-date, particularly the computer labs and library resources. The engineering and science labs are also constantly improved which tells us that improving the education facilities is one of the first few priorities for the University. 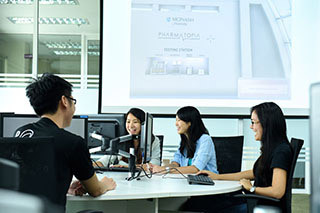 Monash Malaysia offers a good environment professionally and socially. Professionally, in the sense that we (students) are encouraged to learn and pick up things ourselves. Socially, the University campus offers many places to forge and build friendships that can last a lifetime. I have heard of many positive things about Malaysia especially its diverse ethnicity and cultures. I wanted to experience the Asian culture and Malaysia is the perfect representation of Asia with its diverse population. Studying in Monash University is an experience in itself. In my view, the diverse student population makes Monash Malaysia unique. I am staying in the condominium student hostel and my housemates are from different countries. Despite the differences in our cultures and backgrounds, we share an excellent friendship and bond. We learn to respect each other’s cultures. Monash’s strong reputation and the similarity in culture between Malaysia and Indonesia had prompted me to choose this university. My greatest concern when I first came to Monash was communicating with fellow students and lecturers because I lacked proficiency in English. In Indonesia, English is not even taught as a second language and the language is hardly spoken by students. All the hardship seemed to have paid off. I am now adapting well to the local culture, the people, the food — also, my English has improved tremendously. The transportation system here is very efficient - it makes outing a lot easier and fun. Back home, I hardly go out on my own because I have to rely a lot on my parents or friends for transport. I find Monash’s students and staff very friendly and this made my transition to university a breeze. I couldn’t have asked for a better university. I was greatly satisfied with the units I took for my undergraduate course as the subjects were very interesting, the assignments intellectually stimulating, and the lecturers wonderful. During my Honours year I realised how supportive the staff in the research office of the School of Business could be. They were extremely helpful during that last year, and the facilities were, no doubt, excellent. I graduated with a First Class and received the Overall Best Honours Student Award and now I’m doing my PhD here as well. My decision to join Monash was largely influenced by my father, who used to travel to Malaysia on business trips. He felt that enrolling at the Malaysia Campus would allow me to obtain an internationally recognized degree at a fraction of the cost, without me having to go to Australia. My experience studying at Monash so far has been pretty good. What’s great is that the university has quite a big pool of students from Sri Lanka, so I feel very much at home here. The lecturers are very helpful and I find the quality of teaching to be of high standard, but students must be prepared to work hard. At Monash, the rigour of academic life can either make or break you, so it is important for students to have good time management skills for them to strike a balance between their study and leisure. Constant revision is the key to success - at least for me. I was happy to have made it into the Business and Economics Board of Examiners’ Commendation List roll of honours for academic excellence this year. I chose to come to Monash University because the diversity in subjects caters to my study preference. For instance, the flexibility of the arts programme has enabled me to pursue a major in international studies and a minor in communication. Monash offers me a lot of opportunities to further my studies overseas through the Monash Passport and Monash Abroad programme. Malaysia is unique because although it is a developing nation, some parts of it are highly developed. In particular are the Petronas Twin Towers, Kuala Lumpur International Airport, the ‘grand’ shopping complexes and the lush greenery. I aspire to become a successful economist in order to contribute to the development of Bangladesh. Under the tutelage of Monash academics that are highly qualified, I hope to acquire the required skills to fulfill my dream. The diversity here at Monash is really cool as I am able to meet many people from different backgrounds. Apart from that, the opportunity for me to study abroad is also a great thing. Coming to Malaysia has been a great learning experience for me. I get to know about this beautiful country, her friendly people and colourful culture. It’s fascinating to see how people from different backgrounds and cultures can live together in peace and harmony. The friendliness of its people overwhelms me - it makes my stay here so much fun. I must say that Monash University Malaysia’s international student services department has done a great job in helping foreign students settle down. The staff has been most caring and helpful.